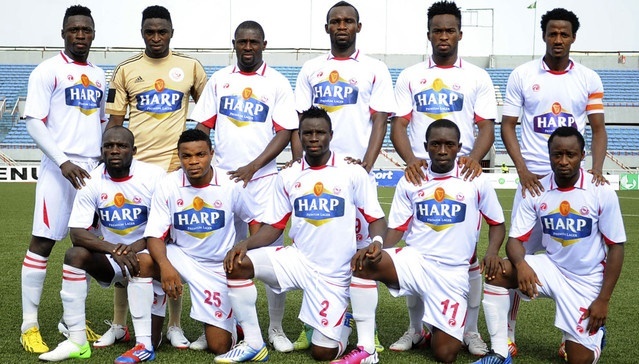 Enugu Rangers and Rivers United are in relegation trouble this season, with two points separating both sides. It is going to be a battle of the defending champions against the runner up in Enugu when Rangers host Rivers United in a matchday 32 tie of the Nigeria Professional Football League on Sunday. Team manager of Rangers, Amobi Ezeaku is optimistic they will put things right with a win over United. “It’s going to be a cracker as the two sides are in dire need of points. “In the Nigerian league, players play with much confidence at home so expect the Rangers players to play with a lot of confidence on Sunday. “We appeal to our fans to support us because with that, we will emerge victorious against Rivers United on Sunday,” Ezeaku told Rivers United website. Chief coach of Rivers United FC, Willy Udube said a fair result is what he is expecting. “We lost a match at home against Sunshine Stars but travelled to Illorin to get a result against ABS FC so it is possible to get another decent result in Enugu against Rangers after dropping points in our last home game versus Akwa United,” he said. Difficult as it is to believe, Enugu Rangers and Rivers United are in relegation trouble this season, with two points separating both sides. The Enugu team is sitting 17th on the league table, having 39 points from 32 matches, while the Port Harcourt side is 12th on the log with 41 points from 30 games. It makes Sunday’s clash at the Nnamdi Azikiwe Stadium extremely crucial for both sides in dire need of points. ALSO WATCH: 'Jungle Justice'. See how a Badoo Gang member was burnt alive.